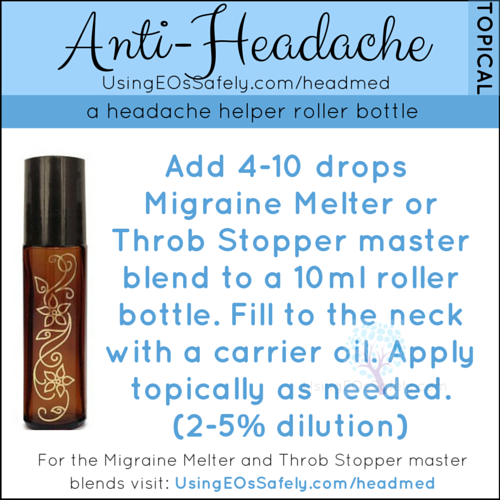 This week’s essential oil class is on anti-headache essential oils. 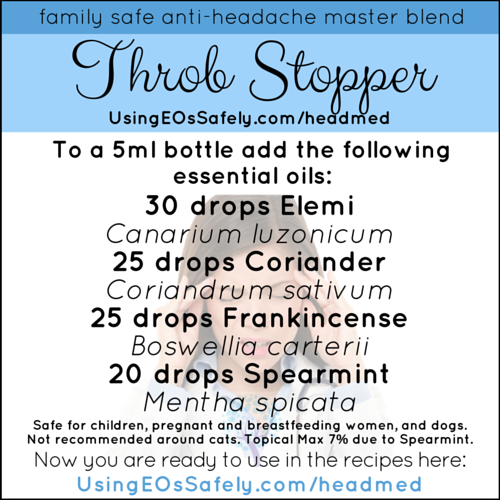 Below you will find class recordings and all of the materials you need to make your own family-friendly anti-headache essential oil blend. 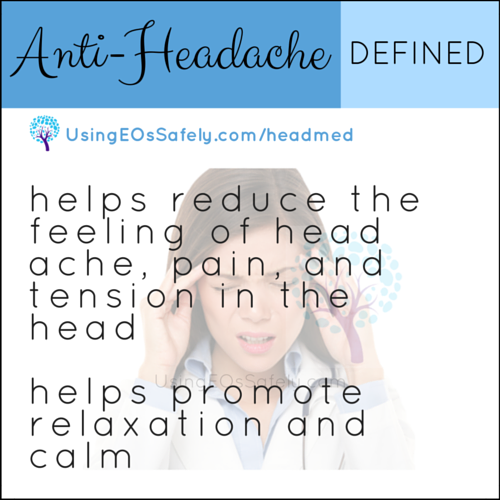 What are anti-headache essential oils? Cinnamon Bark – Avoid if pregnant. Using more than topical max (0.1%) can cause irritation or sensitization. Avoid using if taking aspirin, have bleeding disorders, are taking medications, and before or after surgery. 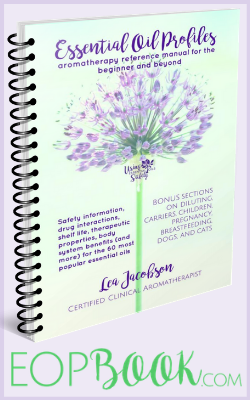 Clove – Using more than topical max (0.5%) can cause irritation or sensitization. 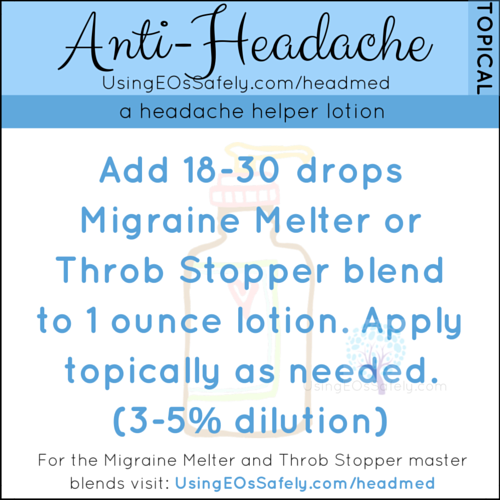 Avoid using if taking aspirin, have bleeding disorders, are taking medications, and before or after surgery. Eucalyptus – Using more than topical max (20%) can cause irritation or sensitization. 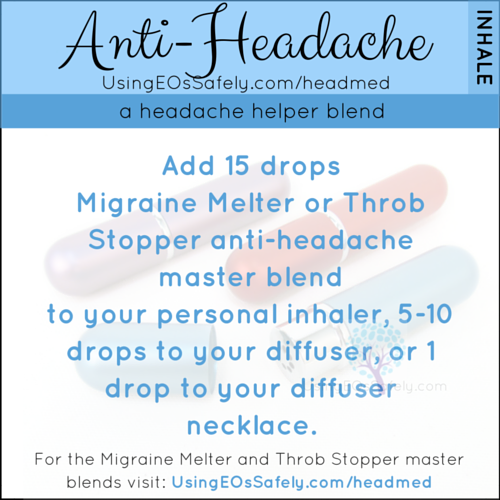 Avoid using with children under age 10 due to potential respiratory distress. Jasmine – Using more than topical max (0.7%) can cause irritation or sensitization. 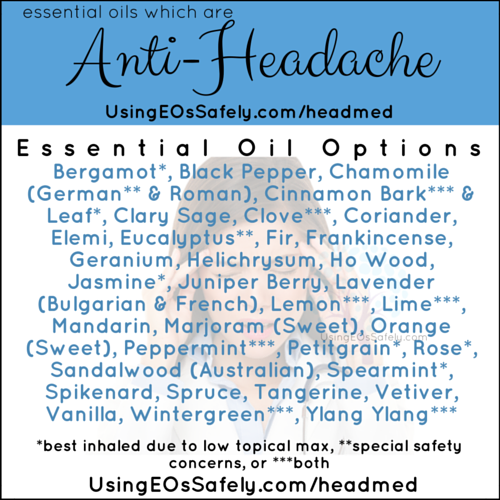 Peppermint – Using more than topical max (5.4%) can cause irritation or sensitization. Avoid using if you have a G6PD deficiency. 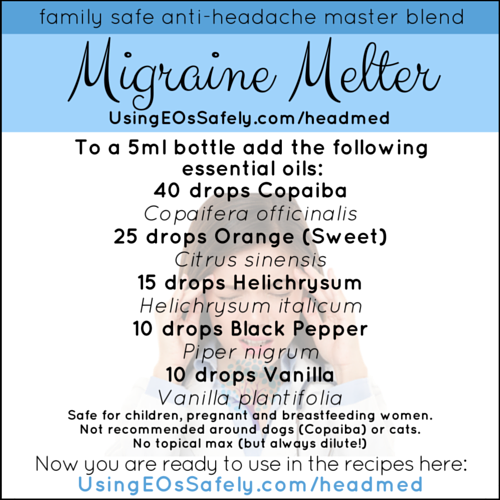 Use with caution if you have cholestasis or GERD. *May cause milk supply to decrease if used liberally. Rose – Using more than topical max (0.6% Rosa damascena; 2.5% Rosa centifolia) can cause irritation or sensitization. Spearmint – Using more than topical max (1.7%) can cause irritation or sensitization. Wintergreen – Using more than topical max (2.4%) can cause irritation or sensitization. Avoid using if taking aspirin or blood thinners, have bleeding disorders, salicylate sensitivity, ADD/ADHD, before or after surgery. Use with caution if you have GERD. Ylang Ylang – Using more than topical max (0.8%) can cause irritation or sensitization. Avoid using on hypersensitive, diseased, damaged skin. Are you enjoying these free classes? If you have benefited from this class, please consider sending some PayPal love my way via my PayPal link here. Sending just $5 lets me know you are taking advantage of these free classes and want to see more. Thank you so much for your support!